Autologous stem-cell transplantation is an effective procedure for the treatment of multiple myeloma, and involves the collection of hematopoietic stem cells (HSCs). However, in some patients, HSCs in the bone marrow fail to mobilize. 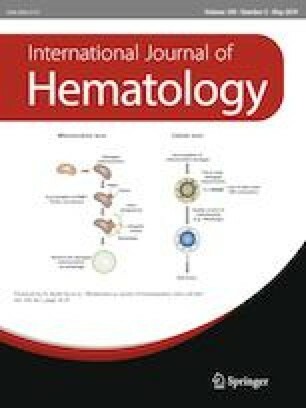 Pomalidomide upregulates CXCR4 in hematopoietic stem cells, in a manner similar to that of lenalidomide, and is, thus, likely to have a negative impact on hematopoietic stem-cell mobilization in multiple myeloma patients. Here, we report the two cases in which hematopoietic stem cells were mobilized using plerixafor plus granulocyte-colony stimulating factor after exposure to lenalidomide and pomalidomide. Use of plerixafor with a sufficient washout period may lead to successful mobilization following pomalidomide use, although further study of this potential use is needed. The authors have no competing financial interests to declare.